Will the third time be the charm, or will Windows Lite join Windows 10 S and Windows RT as failed Windows variations? If I were in charge of Microsoft, besides fully embracing Linux for the desktop, I’d give up on trying to challenge Google’s Chromebooks with lightweight versions of Windows. It hasn’t worked before, and it won’t work now. But I’m not in charge of Windows. Indeed, since Terry Myerson was shown the door in March 2018, no one in Microsoft’s mahogany row has represented Windows. That lack of top leadership may be why Windows quality assurance hit new lows with the Windows 10 October 2018 Update. Be that as it may, Windows Lite, a.k.a. Windows Core OS (WCOS), will come out in 2019, according to the rumour mill. I don’t think you’ll be able to buy it. Instead, you’ll get Windows Lite, like Windows RT and 10 S before it, pre-packed on dedicated laptops. I suspect, but I don’t know, that Lite will make its first appearance at Microsoft Build 2019. When is Microsoft Build? There’s no date for it yet, but past history suggests April or May. Until then, there’s a lot of guessing going on. It appears that Windows Lite will be built on top of OneCore, which is the heart of Windows 10. But OneCore, like the Linux kernel, is only the barebones basis of a full-featured operating system. On it, so the theory goes, Microsoft can build a variety of platforms, some of which would not look like Windows at all. In fact, before Myerson exited stage left, the plan had been to release multiple OneCore-based devices, such as a Surface Pro 6, in 2019, and the HoloLens and the next-generation Xbox, Scarlett, in 2020. Now, we’re only really sure that Windows Lite will use OneCore as its foundation. So just how much will Windows Lite resemble Windows 10? Not much at all. According to Brad Sams, who’s been covering Windows Lite like paint on a wall, Windows Lite will only run Progressive Web Apps (PWA) and Universal Windows Platform (UWP) apps. If that’s indeed Microsoft’s plan, there are two big problems with it right out of the gate. First, not being able to run normal 32-bit Windows apps is one of the things that killed Windows RT and has left Windows 10 S floundering in search of users. Second, what do you call a Microsoft OS that can’t run Windows programs? Darned if I know, but Microsoft better not call it Windows. Does it really want to make the same branding mistake three times in a row? On the other hand, say it doesn’t call it Windows. Would people buy it? I doubt it. Chrome OS is the only new desktop operating system to have found a large audience in decades. I find it hard to believe that a non-Windows “Windows” can repeat its success. 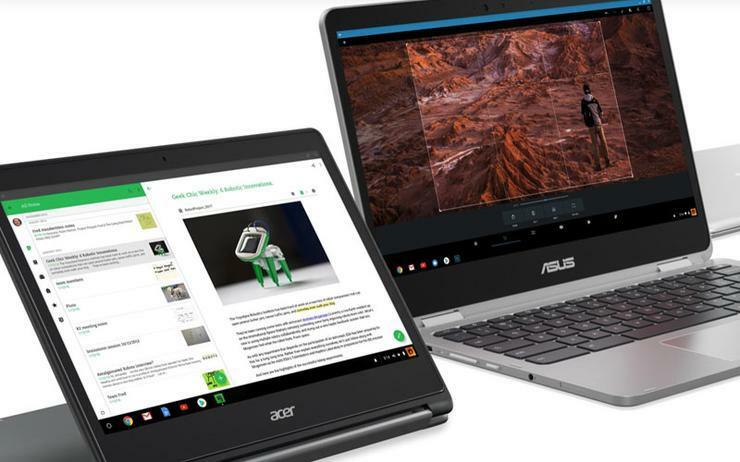 Chrome OS works because it uses the familiar Chrome web browser as an interface to Google’s popular cloud-based services. Windows Lite comes much too late to the cloud party to ride that angle to success. Its other features strike me as a mere repeat of Windows RT’s and S’s failures. Businesses will want Windows 10 with all the trimmings, not a cut-rate, crippleware version of Windows. Ordinary users won’t want to learn another new interface to do the same old work. In short, I don’t get it. If there’s a sound business reason for Windows Lite, I’ve yet to see it. How about you?